My social sciences bibliography class in library school met at the dreaded 8 a.m. hour. Nevertheless, decades later, I can still recall the “aha!” moment when our professor presented the scholarly publishing cycle as the first piece for understanding the array of reference tools available to access information. Now, this was pre-internet, but the understanding of that cycle helped explain evaluating reference sources and how librarians further research, which in turn becomes part of the next cycle. Some aspects of the scholarly cycle have persisted for centuries: Scholars write to one another discussing their work, present findings at departmental colloquia or conferences, publish an article, and when there’s a body of research, revamp it into a book. 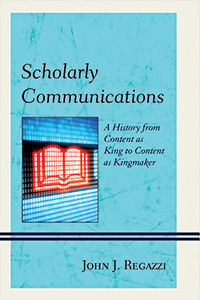 In Scholarly Communications: A History from Content as King to Content as Kingmaker, John J. Regazzi reviews the history of the development and evolution of the scholarly communications process, the scholarly journal, the monograph, the abstracting and indexing services. He also examines the impact of CD-ROM technology on online access systems and moves into discussions of open access and general implications of pricing structures. He briefly addresses new forms of sharing, such as open source systems and workflow systems that allow for collaboration during presentations. 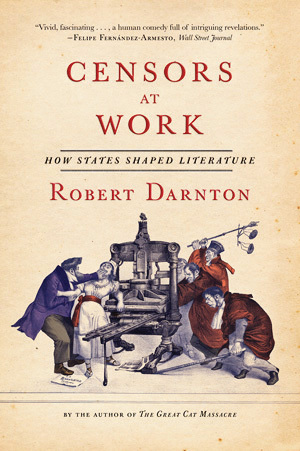 Another perspective on how society shapes information dissemination is documented in Robert Darnton’s Censors at Work: How States Shaped Literature. In order to better understand how governments might restrain free expression in cyberspace, Darnton examines three historic instances of state censorship. By looking at the details of censorship in ancien régime France, British India, and Communist East Germany, Darnton hopes to determine how censorship operated in these three repressive regimes and how the rules shaped the literature produced in each. He found evidence of collaboration between the censors and the authors in order to get publication clearance, as well as accommodation by the censors to keep the economic value of publications in country, rather than published elsewhere and bootlegged back in. The scholarly process involves the university—sometimes indirectly by supporting scholars, sometimes directly through university presses. 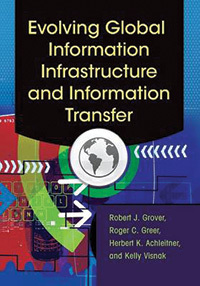 In recent years, libraries have become part of the process as well. 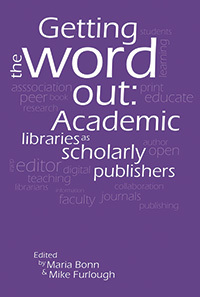 Maria Bonn and Mike Furlough have edited a collection of essays, Getting the Word Out: Academic Libraries as Scholarly Publishers, that looks at why libraries publish, how they publish, and what they publish. The landscape described is as varied as the libraries themselves. To some extent, libraries have returned to the publishing process because economic barriers have been sharply reduced through digital technology. The same technology has enabled a greater variety of publishing models and types of output, such as textbooks, student publications, and curated collections of resources in institutional repositories. Our traditional models of accessing information—library catalogs and abstracting and indexing services—were developed to ease access to scholarly resources in the print era. In the digital era, new ways of getting to the resources are necessary. 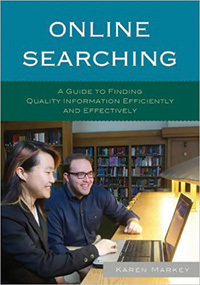 Karen Markey, who has analyzed access to database content as it has evolved over the past four decades, has written a textbook, Online Searching: A Guide to Finding Quality Information Efficiently and Effectively. 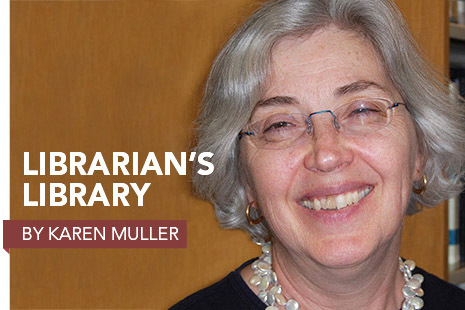 Throughout, she emphasizes that librarians’ unique contribution is their ability to access quality information from trusted sources. Typically, this material is not readily available on the open web but through licensed databases. 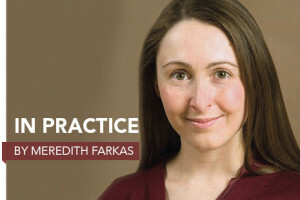 Markey describes the types of databases and stresses the presearch preparations of the reference interview, the considerations of the facets of the topic to be searched, and the evaluation of the database to be used.